The Florida Sentinel compiled a slideshow of the best Hotel Swimming Pools in the Sunshine State. Check it out here. While the photos are mostly dated, promotional shots, and the write-ups sound like they were written by PR assistants, if you’re planning a trip to Florida, you might find it helpful. There are multiple photos of many of the pools, but the Disney resorts all get just one image each. Still, it’s a decent resource if you’re comparing Florida properties. 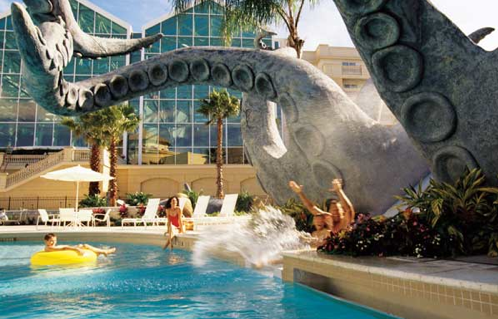 For example, the pool at the Gaylord Palms Hotel features an octopus water slide, where kids can climb through the tentacles to get to the slide. Cool times 8. 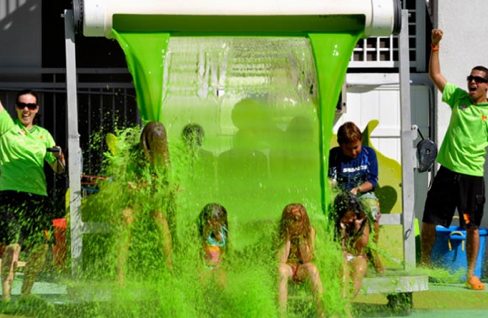 And, did you know, that at the Nickelodeon resort, they actually do a daily “sliming” ? Any Nickelodeon-watching kid (young or old) is going to love that, and as long as they can clean off in the pool, how can Mom or Dad complain? For more on hotel pools in Florida, click here.